Allergy season in full effect! SERVPRO is always here to help! Do you or anyone in your household suffer from allergies? Though the season brings many contributing factors to allergies, there are also causes that may not be related to the seasonal change. The cause may be that your home is simply just not clean. For example, if you have a pet like a cat or dog, cleaning their dander may help minimize your allergic reactions. Another example is dust, dust particles can cause sneezing, runny nose, nasal congestion etc. Aside from allergies, different aspects of your home can cause discomfort. An odor can cause discomfort and or headaches. An odor like mold is not one to take lightly, mold can lead to serious health issues. Take the necessary precautions to keep your family healthy this spring. Here are a few services that we offer that may help you feel better inside your home. Your trusted professionals at SERVPRO ofWheaton/Kensington can help you get nice and tidy this spring. Call us today for more information on the specialty cleaning services that we offer. Where do mice hibernate during winter? Possibly inside your house! 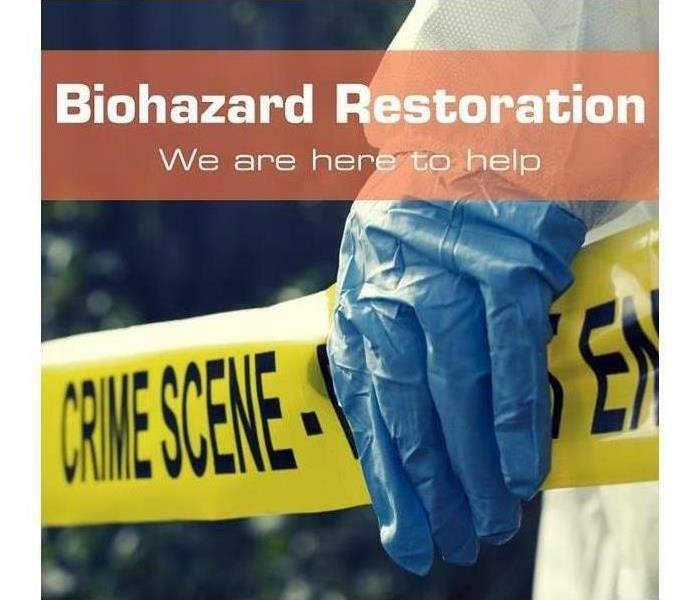 Biohazard clean-up from SERVPRO of Wheaton/Kensington. As we all know, during cold temperatures, we try to stay indoors as much as possible. Have you ever asked yourself, where mice hibernate? Well, possibly inside your house! They also want to keep warm during the winter months. 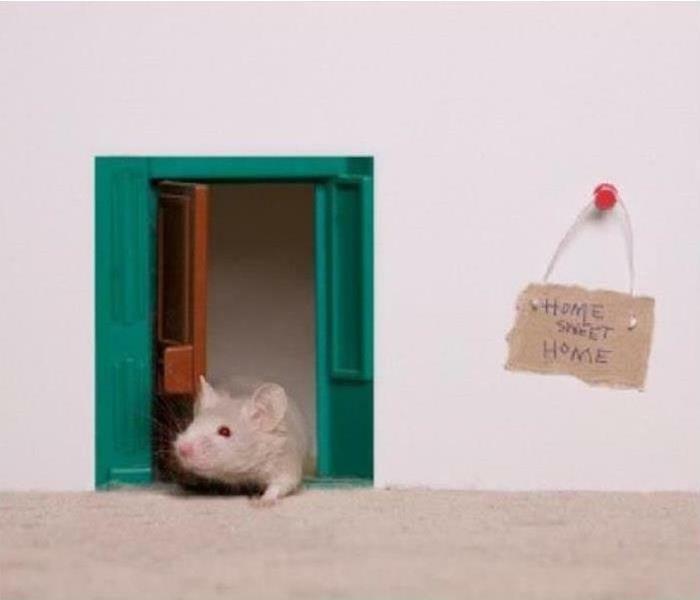 A small sign of a mice infestation can be tiny black feces no bigger than a sesame seed. Bigger signs are holes chewed out of food containers or even drywall. In these cases the best thing to do is to get a pest control provider to come out and take care of your unwelcomed guests. Snow storm tips from your SERVPRO of Wheaton/Kensington. Protect your property from winter storm damage. Winter weather is here! It is time to dust off and take out those snow shovels, it looks like we will be needing them today. Although snow is a beautiful thing to see, it can cause damage to your home. 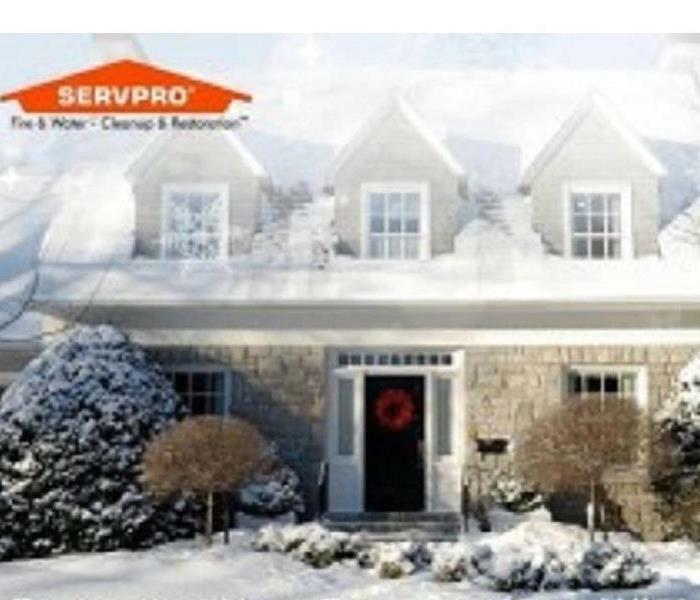 Your SERVPRO of Wheaton/Kensington is here to help with a few pointers on how to keep your home safe from damage due to a snow storm. Remove snow from basement stairwells and window wells, melting snow can lead to water damage and moisture intrusion. Drip all faucets in your home continually during severe cold, including kitchen and bathroom sinks as well as shower and tub faucets, to prevent pipes from freezing and bursting. Use extreme caution with electric space heaters, keeping them at least a few feet away from anything flammable. If you experience a power failure, use battery-powered flashlights and lanterns instead of candles whenever possible. 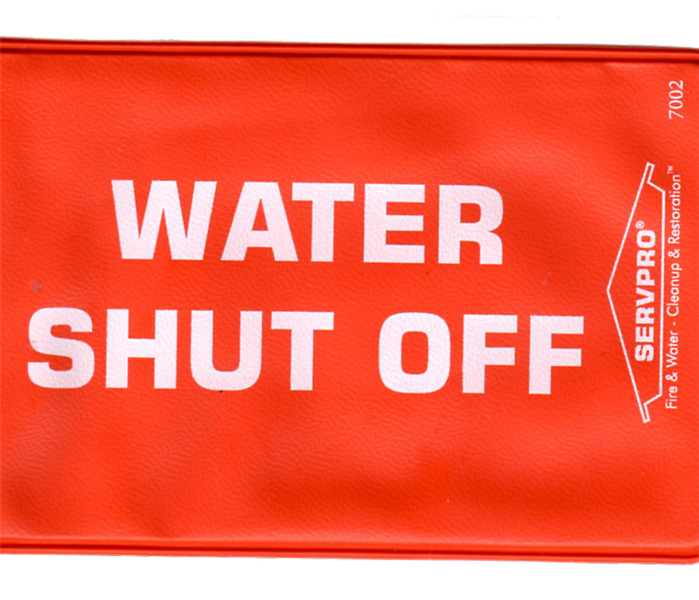 Keep garage doors closed if there are any water supply lines in the garage. All water losses are different! Here at SERVPRO of Wheaton/Kensington safety is our first priority. Knowing how to react when you experience a water loss is vital to you and your families’ health. All water poses potential health problems. It is the single leading cause of disease in the world. Understanding the different types of water contamination levels and their health risks can make a big difference in restoration process as well as minimize your chances in becoming sick. This information will help you determine if you need to evacuate the home or not. Below you will find a description of the different types of water contamination categories. Category 1 – Clean Water: This water originates from a sanitary water source that does not pose substantial harm to humans. This may include broken water lines, tub or sink overflows with no contaminants, appliance malfunctions involving water supply lines, melting ice or snow, falling rain water, broken toilet tanks and toilet bowls that do not contain contaminants or additives. 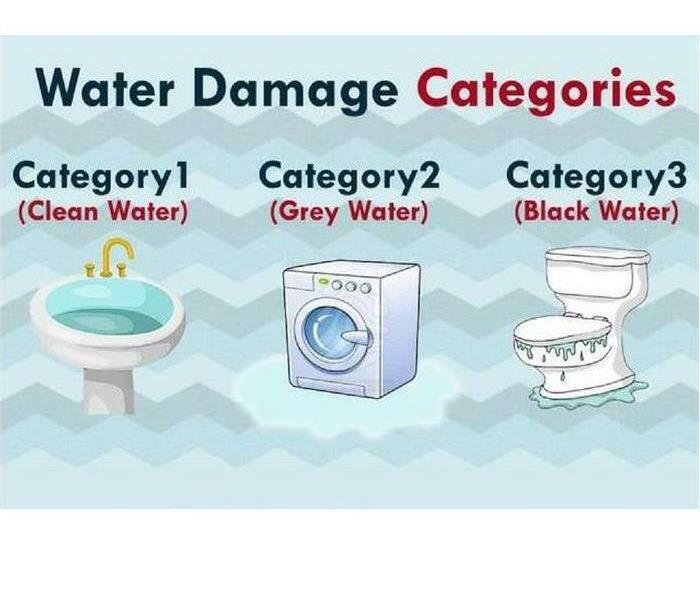 Category 2 – Gray Water: This water contains a significant level of contamination and has the potential to cause discomfort or sickness if consumed by or exposed to humans. Examples of this include discharge from dish washers or washing machine overflows, toilet overflows, toilet overflow with urine, but not feces, and other sources where water has been contaminated. Category 3 – Black Water: This water is grossly contaminated and may contain pathogenic, toxigenic or other harmful agents. Elderly, children under the age of 2, and people with respiratory issues should not occupy the facility until the building safe. Examples of Category 3 water are all forms of flooding due to sewage, flooding due to sea water or rain fall (rain, natural disaster), and colored water. Keep in mind that every water loss is different, and determining the type of water category you have is the first step towards figuring out what the next step is. Once we establish the water category we put together our plan of action. 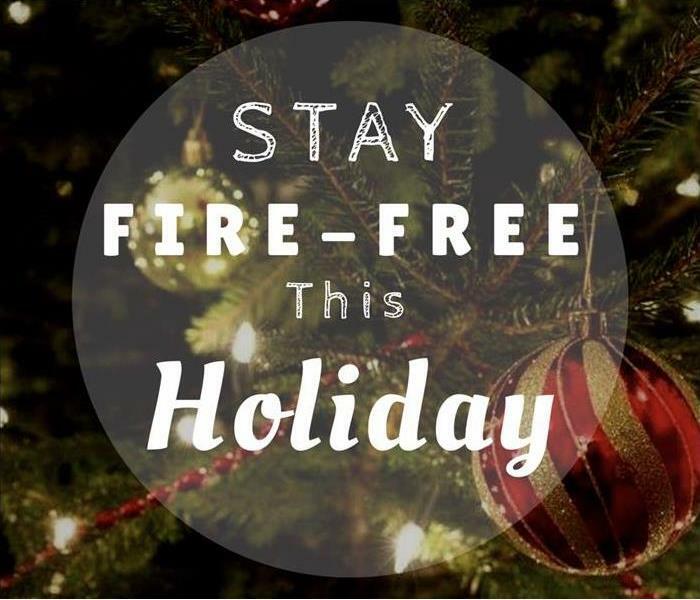 Tips on preventing kitchen fires this Holiday season from your SERVPRO of Wheaton/Kensington. We wish you a safe holiday season. The Holiday season is like a whirlwind of different activities, the decorating, the gift wrapping, the cooking! Sometimes it feels like there’s so much to do with so little time. Here at SERVPRO of Wheaton/Kensington we understand the meaning of the “whirlwind” that comes along with the Holiday season. We know that a celebration isn’t complete without a feast to share with your loved ones. Your SERVPRO of Wheaton/Kensington is here with helpful tips to prevent kitchen fires this Holiday season. Watch what you are cooking! The leading cause of kitchen fires is because the kitchen was left unattended whilst cooking a meal. Keep children at least 3ft away from the stove. Enforce a 3ft area perimeter around the stove for your children to avoid. Younger children run higher risks of being burned from hot food or hot liquids on the stove. Use kitchen appliances correctly. Follow manufacturer recommendations when connecting appliances like microwaves, crock pots, steamers, toaster ovens, and any other appliance. Connect these items directly to a wall outlet, using extension cords can overload the circuit and cause a fire. Keep flammable items away from the stove. Keeping the following items away from your stove top can potentially prevent a fire in your home. Common flammable ingredients and items: Flour, sugar, cooking alcohols, oils, paper products, wooden spoons, cloth napkins etc. Christmas tree precautions from your local SERVPRO of Wheaton/Kensington! Happy Holidays from your local SERVPRO of Wheaton/Kensington! Though Christmas is a time for celebration, it is wise to be cautious too. Old fashioned Christmas trees were displayed with wax on live tree branches to simulate snow. 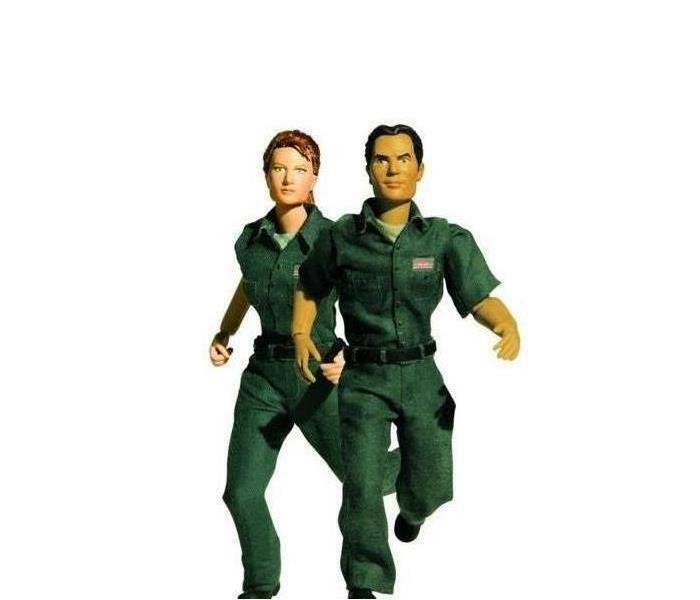 Since then we’ve grown wiser, and safer. Your SERVPRO of Wheaton/Kensington is her to help with safety tips to reduce the risk of a fire caused by Christmas trees. Be sure to water your live trees, this decreases dryness on the branches. Dry needles and wood are more likely to catch on fire quicker. Avoid plugging more than 3 strings into one outlet. It’s best to opt for a power strip. Discard light strings that are worn or broken. Always remember to turn off your Christmas tree when leaving your home. When placing your tree in your home, choose wisely. Make sure that your Christmas tree does not block an exit. Also, try to keep it at least 3 feet away from any heat sources like space heaters, candles, fireplaces, heat vents or lamps. For this Christmas season keep yourself and your family safe. We hope that you find these safety precautions helpful. Always remember that your local SERVPRO of Wheaton/Kensington is always here to help, and make it “Like it never even happened”. We are always her to help, and make it "Like it never even happened"! There are different types of biohazard contaminants, however all of them are harmful to your health. Weather its blood borne pathogens, crime scene residues, or sewage backups, these situations can pose serious health risks. Your SERVPRO professionals can safely clean and remove biohazardous substances and dispose of them properly in accordance with OSHA and health regulations. Here are a few tips on what you can do in case this unfortunate incident happens to you. Treatallbodily fluids as if they are contaminated. After any incident involving biohazard contaminants your main focus should be keeping your family safe. Keep your local SERVPRO ofWheaton/Kensington in mind. We have you and your family’s best interest in mind. Our focus is to get your home or business to its back to its prior state, and make it “Like it never even happened”. Who can you trust when you are a victim of a disaster like a flood, or a fire? When these situations happen you may feel vulnerable, or even impotent. You may ask yourself, who should I trust? Will they have my best interest in mind? The question will then become, why SERVPRO? Our team is certified through IICRC for water, fire, mold and bio clean ups. We are the leading name in our industry, with years of experience. With over 1,700 franchise licenses to operate across the U.S, and Canada, you can believe that we are experienced and trained to take care of you. We are a part of a franchise system, but we are also independently owned and operated. You will received detailed attention every time! We are your one stop for cleaning, repairing, and managing your loss. We work with adjusters! We provide pictures, dry logs, and detailed explanations as to what needs to be done, and what is being done at your home or business. We can handle both residential, and commercial losses. With the support of our franchise, we feel confident enough to say that there is no job to big or too small for us. Remember that having the support of a team like ours can make the difference with how quickly you recover from a disaster. 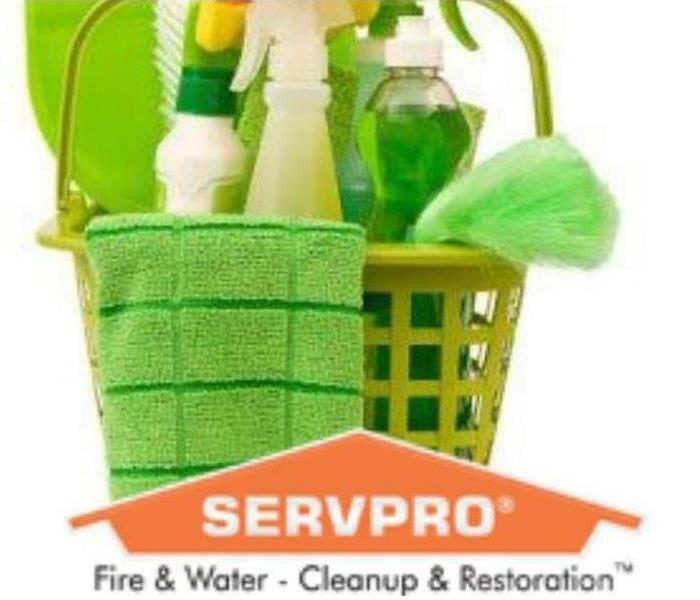 When you think about clean up and restoration, think green, think SERVPRO of Wheaton/Kensington! Fall Cleaning tip from your SERVPRO of Wheaton/Kensington. Fall cleaning? Is there such a thing as fall cleaning? Is spring cleaning not enough? Although adding a chore like fall cleaning doesn’t sound like any fun, it can benefit you and your family’s health! A service that we recommend around this time is a good old fashioned Duct Cleaning. Having your ducts cleaned can avoid health issues like allergies. The dust, dirt, and pollen collected in your ducts can cause issues like worsening asthma symptoms. Not cleaning your ducts can also cause stale odors in your home. Cleaning your ducts will remove mold or other contaminants that may be spreading inside your home now. You may ask yourself, how frequently do I need to have my ducts serviced? That depends on a few different things such as, the size of the home, the amount of people that live in the home, and if you have pets or not. 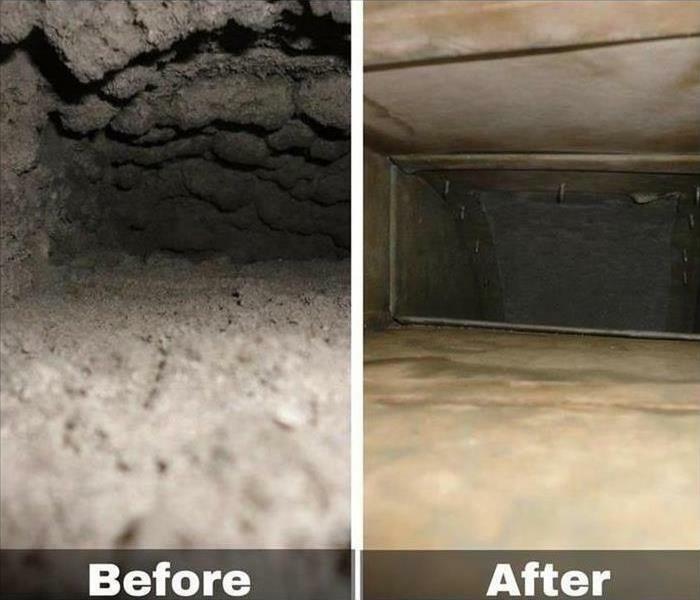 Call your local SERVPRO of Wheaton/Kensington to determine how frequently you should clean your ducts, and for your free estimate! Where is you main water shut off valve? 4/15/2019 - Allergy season in full effect! 2/15/2019 - Where do mice hibernate during winter? Possibly inside your house! 1/14/2019 - Snow storm tips from your SERVPRO of Wheaton/Kensington. 12/21/2018 - Tips on preventing kitchen fires this Holiday season from your SERVPRO of Wheaton/Kensington. 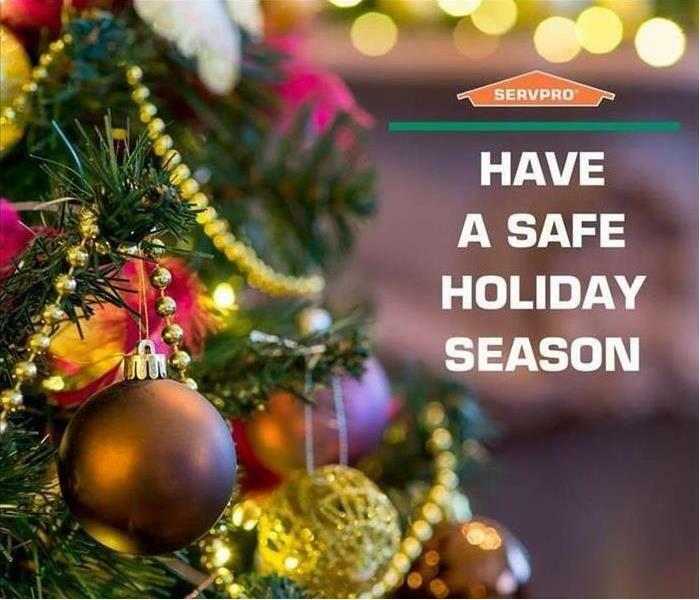 12/3/2018 - Christmas tree precautions from your local SERVPRO of Wheaton/Kensington! 10/26/2018 - Why SERVPRO of Wheaton/Kensington? 10/15/2018 - Fall Cleaning tip from your SERVPRO of Wheaton/Kensington.